If you have something online, an ERP solution is a must for you these days. 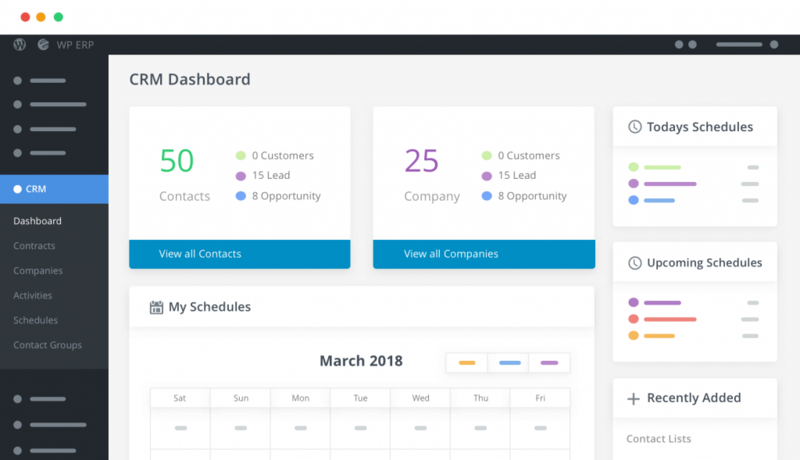 Whether you’re running an online business, social blogging or personal site, a recruiting agency, marketing platform, a community forum or anything else; an ERP software would enable you to automate all of your regular tasks. You can manage-monitor everything from a single place and offer real-time solutions even when you are sleeping! Saving times, money and efforts are some of your extra benefits with the ERP software. If you are a WordPress user, there is a bunch of good news for you. weDevs is offering a fully customized ERP solution including four independent modules (HRM, CRM, Accounting and Project Manager) and you can get all of them at completely free of cost! Over 10,000 businesses are actively using this solution in 160+ countries and 20+ languages. Let’s have a look at its core features and why you should give a try today. 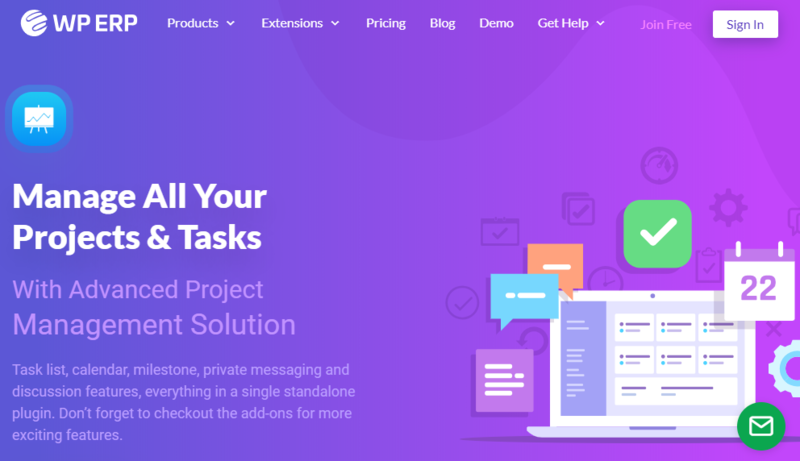 WP ERP optimizes your small to medium businesses with these powerful solutions and you have options to customize your projects with its 20+ extensions. Right people are the worthy asset for your business. WP ERP provides an easy to use Employee Management module. 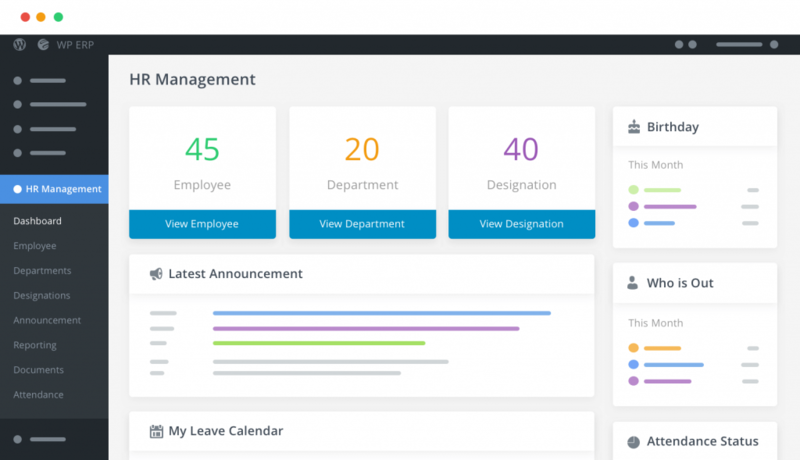 You can manage everything from hiring new employees to assigning responsibilities and monitoring their works, etc. 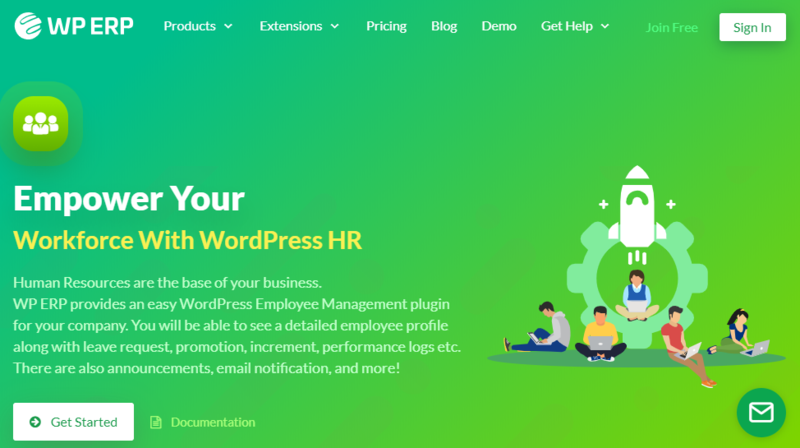 With this solution, you will be able to automate your recruiting process and easily see a detailed employee profile along with leave request, promotion, increment, performance logs etc. There are also announcements, email notification, and more! What Else You Can Do with HRM Module of WP ERP? You can manage your departments, employee designations, announcement, reporting, documents, attendance and leave management etc. WP ERP’s HRM offers a stunning dashboard from where you can get a quick overview and easily monitor what is going on within your organization. Have a look at its wonderful design. Both of your success and future growth depend on your relationship with the customers. A CRM solution is the most significant part of your ERP solution to build and manage a friendly relation with your customers. This CRM software let you easily track & follow up queries with leads, subscribers & clients. What You Can Do with CRM Module of WP ERP? You can manage users with their life cycles, note down all the Important stuff, get built-in mail communication, schedule a meeting or a call, filtering contacts, manage your B2B users, personalize your communications, reports for your analysis, contact groups for easy categorization and more. 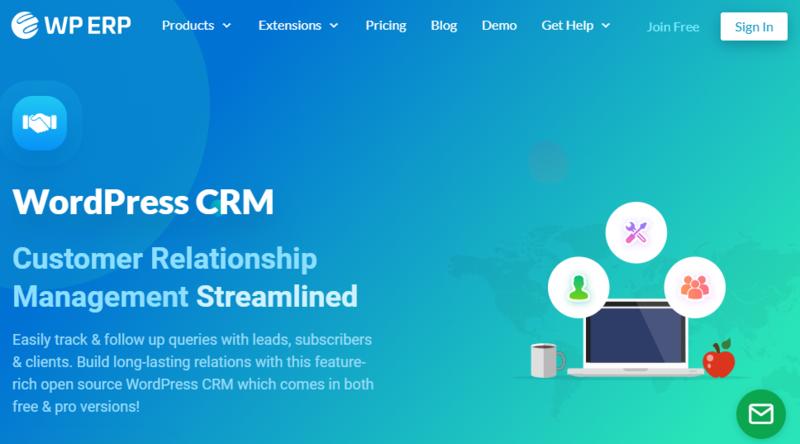 You can build and maintain long-lasting relations with this feature-rich open source CRM! Have a look at its beautiful dashboard. A well-planned accounting process is like a pillar for businesses, especially for startups. You know that is not easy stuff. 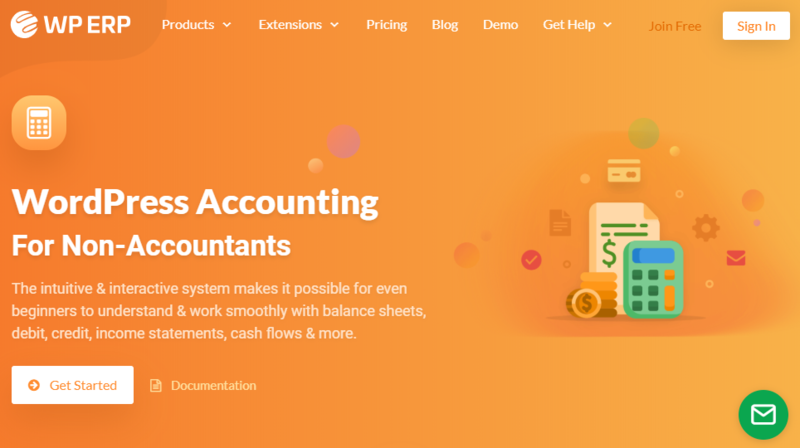 But if you have a solution like WordPress Accounting, there is nothing to worry about. 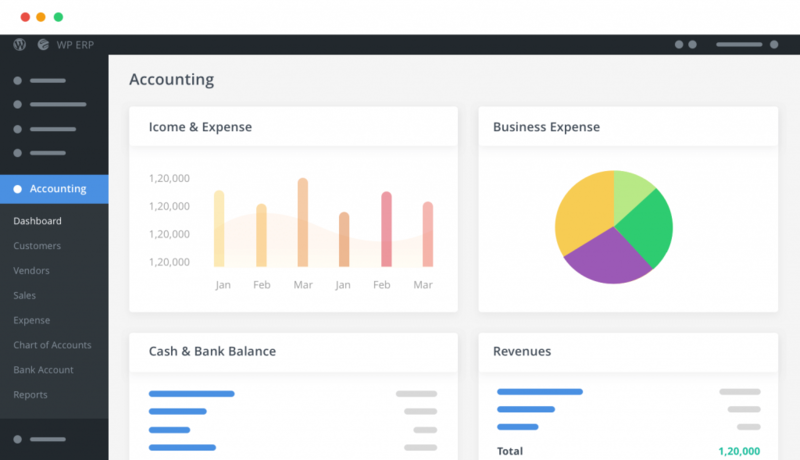 The intuitive & interactive system of WP ERP Accounting makes it possible for even beginners to understand and work smoothly with balance sheets, debit-credit reports, income-expense statements, cash flows & more. What You Can Do with the Accounting Module of WP ERP? You can manage customers and vendors, sales and expense statements, chart of accounts, bank accounts, real-time reports, receive payments, create invoices, track expense transactions, payment voucher, bank account management, money transfer, and journal entry etc. 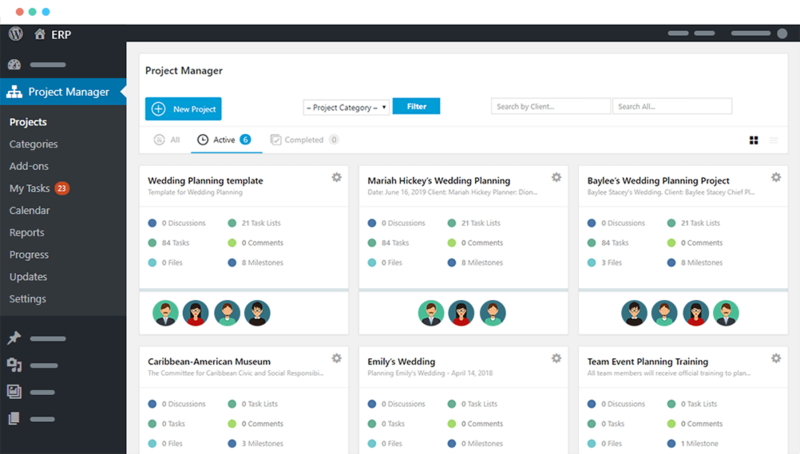 To perfectly manage all of your projects and team, project management software can help you a lot. Within a few moments, you can create a task list, assign your team members, maintain discussion, add-edit comment and monitor the overall progress and more. It’s a fully customized solution to automate your projects and get timely feedback. You can get an overview of all ongoing projects from its beautiful overview dashboard. You have options to use Kanban board with this independent plugin. Don’t forget to check out the calendar, private messaging feature, creating milestone etc. WP ERP is the first all in one enterprise resource planning software in the WordPress industry. It’s just impossible to mention its all awesome features in this short review. As you already know that WP ERP has four fully customized modules and each of them includes a vast collection of features. As an independent plugin, you can also power up your blog or other forum sites using WP Project Manager. Small or medium, you can use this all in one solution to easily manage your business in all the possible way. As it is free for primary users, don’t forget to give a try today. 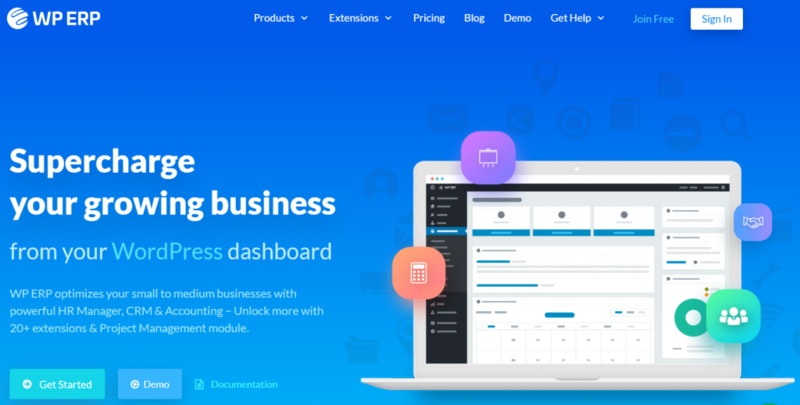 Get WP ERP demo and give a try now!